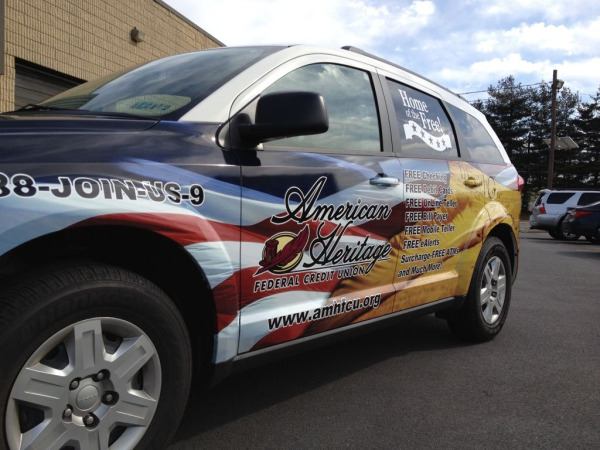 A while back Sunrise Signs was pleased to be part of wrapping American Heritage Federal Credit Union’s (AHFCU) fleet full of Dodge Journeys. Once again, this Philadelphia financial institution asked us to step in and help them continue their brand building campaign. 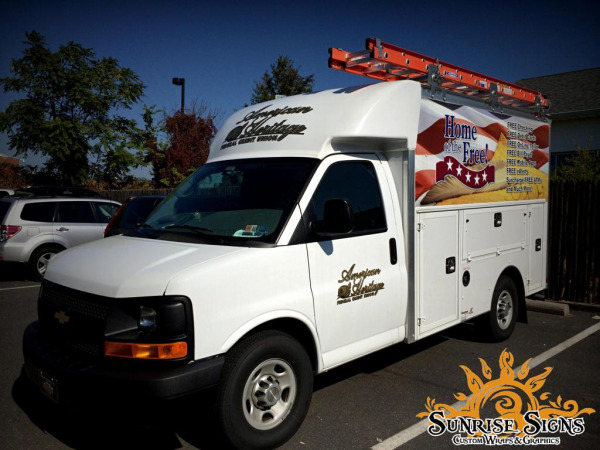 We did this by installing partial vehicle wraps and truck lettering on their Spartan maintenance vans. Back in 1948, American Heritage Credit Union offered banking services for Budd Manufacturing Company but in 1985, they expanded with a name change: American Heritage “Federal” Credit Union and today serve more than 115,000 members.